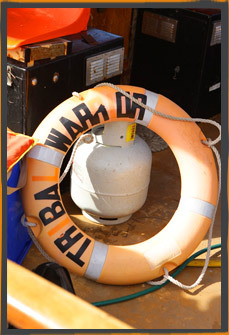 The Tribal Warrior Association empowers disadvantaged Aboriginal and non-indigenous people to become self-sufficient by providing specialised training programs leading to employment opportunities in the maritime industries. Using the gaff-rigged ketch Tribal Warrior and the Deerubbun, Association members train Aboriginal people to achieve qualifications including Master Class V commercial maritime certificates and the Radar and Marine Engineer certificates. As well as providing training opportunities, Tribal Warrior the vessel is a symbol of hope and pride for every Aboriginal person who sees it. It provides Aboriginal people with rare and valuable recreational, social and educational opportunities that help unite their communities and reinforce and revitalise traditional cultural values that might otherwise be lost. Through regular cultural harbour tours that highlight the Aboriginal history and traditions of the extensive waterways and foreshores of Sydney, the Tribal Warrior Association also helps forge a vital link of appreciation, respect and understanding between Aboriginal and non-indigenous people. 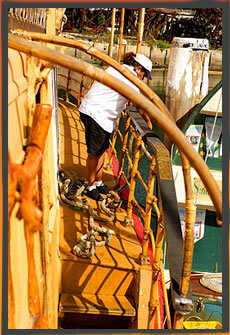 The Tribal Warrior Association is run by respected Elders and grassroots Aboriginal people from various areas. Tribal Warrior Association is reliant and community and volunteer support for its ongoing operation. There are a number of ways you can show your support. Sponsorships that take advantage of Tribal Warrior’s prominent profile and active fund-raising and community activities in the heart of Sydney’s iconic harbour are available. Fundraising campaigns that adopt Tribal Warrior as the primary charity for fundraising events or projects. Tribal Warrior is also authorised to fundraise for charitable purposes by the Office of Charities, Department of Gaming & Racing NSW. To find out more about the history, people, aims, adventures and achievements of the Tribal Warrior Association – and what you can do to support it – visit www.tribalwarrior.org.